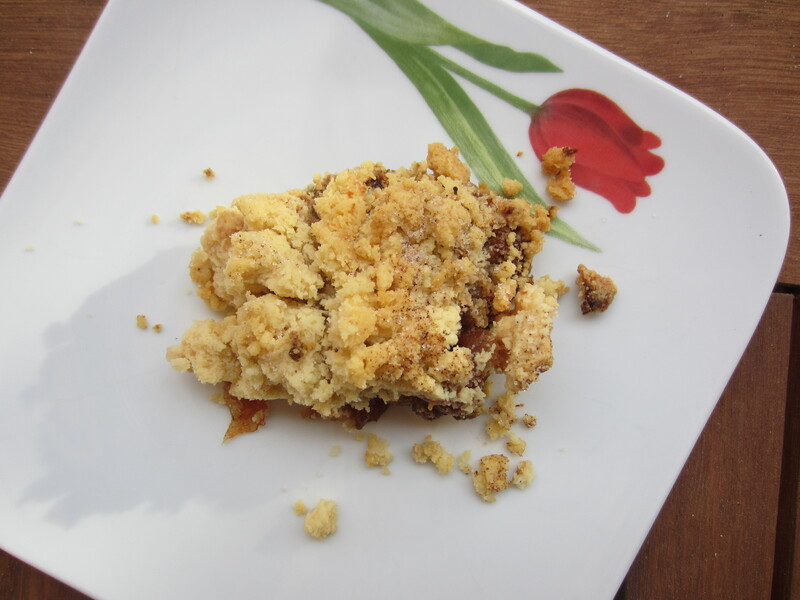 Crumble de manzana – Entre clavo y canela. 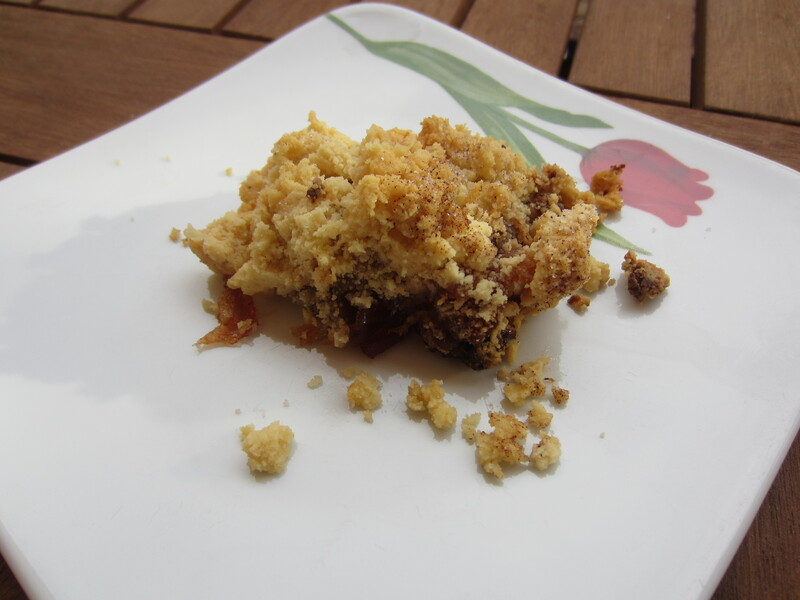 El crumble es un pastel inglés hecho con frutas, generalmente con manzana, y cubierto con una mezcla realizada con harina, mantequilla y azúcar. Se suele servir acompañado de natillas, helado o compotas de diferentes frutas. La manera de servirlo suele ser caliente tras una comida. Saltear en una sartén junto a un poco de canela y azúcar, cuando comiencen a estar transparentes retirar de la sarten y colocar sobre una fuente de horno. Mezclar la harina junto al azúcar e incorporar la mantequilla fría previamente cortada en daditos, mezclar con las manos hasta conseguir una masa arenosa. Cubrir la manzana con esa mezcla e introducir en el horno durante 30 minutos a 180º. Servir acompañado de yogurt, helado, natilla, compota. 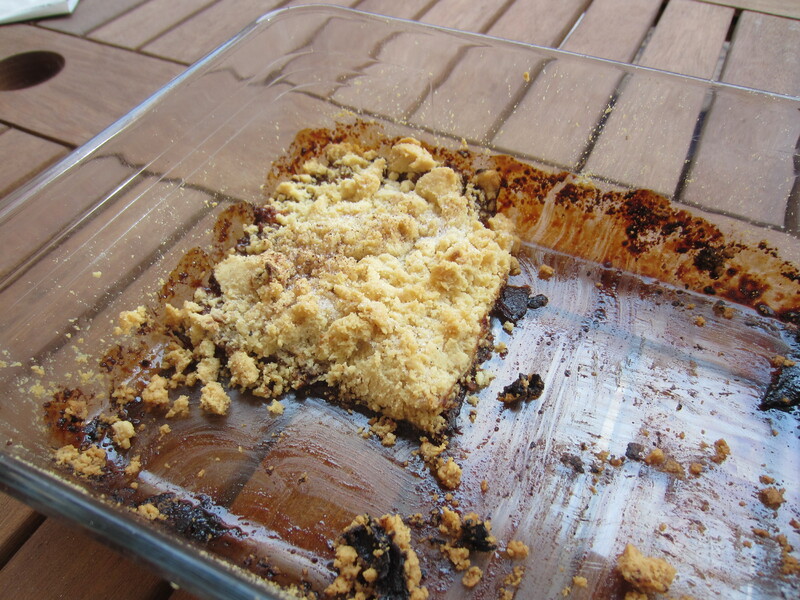 A crumble is a dish of British and Irish origin that can be made in a sweet or savoury version, depending on ingredients used, although the sweet version is much more common. It usually made ​​with fruit, mostly apple, and topped with a mixture made ​​of flour, butter and sugar. They usually serve with custard, ice cream or fruit compotes. 1. Peel and cut the apples into thin slices. 2. Saute in a pan with a little cinnamon and sugar (if you want more tasty use brown sugar), when it begins to turn transparent, remove from pan and place on a dish that can be introduced into the oven. 3. Mix the flour with the sugar and add the cold butter in little cubes, mix with your hands until have a dough sandy. 4. Cover with this mixture and placed in the oven for 30 minutes at 180 °. 5. Serve with yogurt, ice cream, custar or compote.